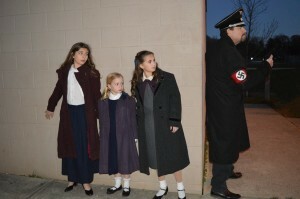 Based on the historical fiction book about the rescue of Jews during World War II, the Haddonfield Plays and Players presents Lois Lowry’s “Number the Stars” as one of its 2016 productions. The show runs from April 6 to 14, and it is a tradition for the company to produce it every spring. “Number the Stars” tells the inspirational story of young Annemarie Johansen and her best friend Ellen Rosen, whose family must protect themselves by hiding from the Nazi soldiers. Annemarie is living in a society where her neighbors and classmates are living in fear of being sent to concentration camps. She finds herself risking her life to help Ellen’s family escape from Copenhagen, but will the 10-year-old succeed without harming anyone along the way?